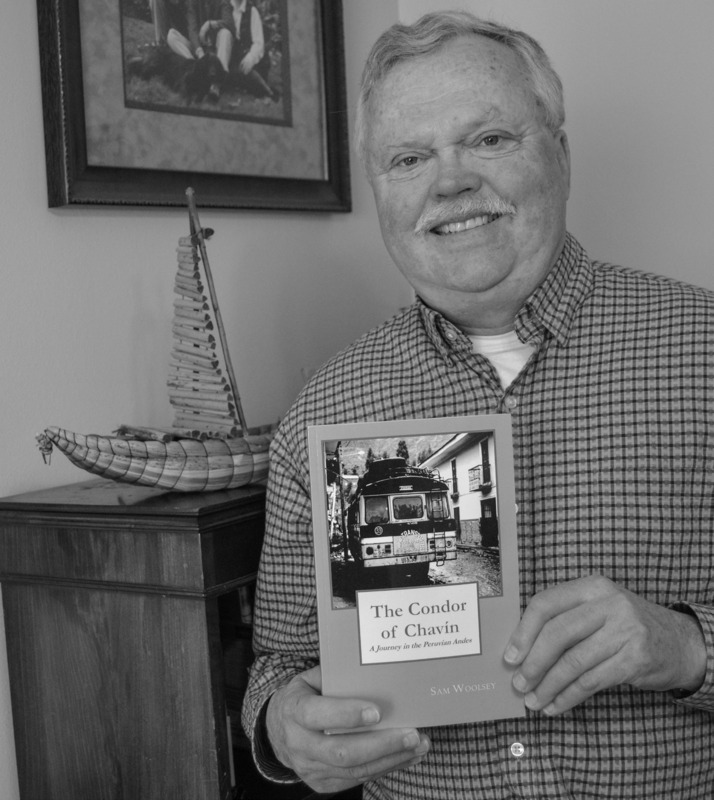 An adventure in the Andes Mountains of Peru led to Sam Woolsey’s book, “The Condor of Chavin: A Journey in the Peruvian Andes.” The reed boat in the background is a souvenir from another part of that journey. 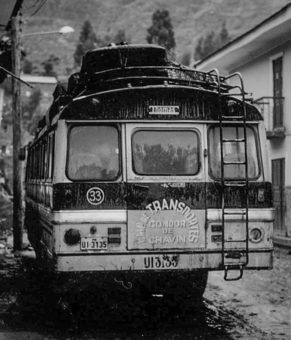 Sam Woolsey looked out the window of the Blue Bird bus he shared with descendants of the ancient Incans— along with chickens and sheep—at the crumbling cliffs that had fallen in and blocked their path. Cyclops or not, Sam and his fellow travelers were in real danger. Any moment the rain-soaked, earthquake-prone cliffs could crumble, sending more rocks crashing down on the road as Sam worked with the other men to dig a path for the bus. 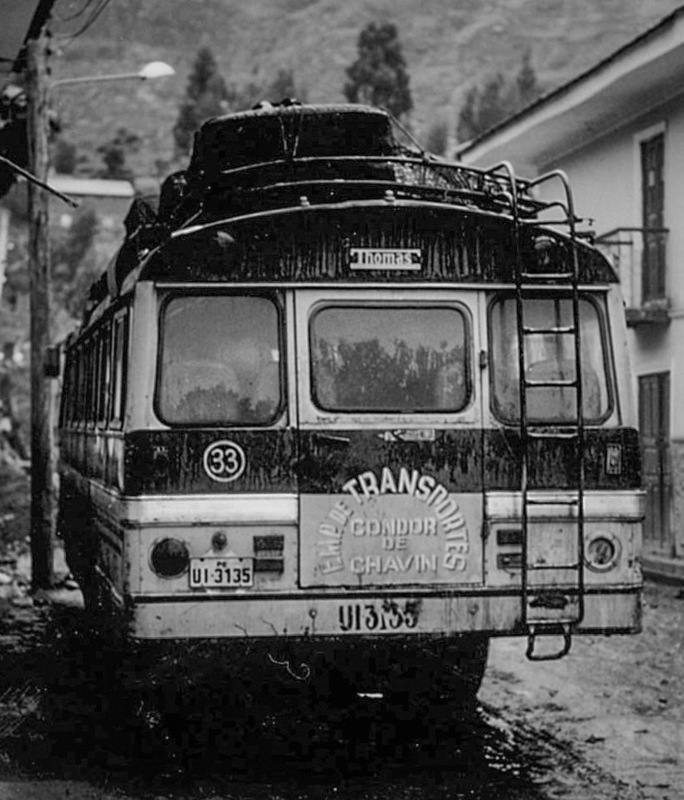 That Sam is alive today proves he survived that obstacle, along with several others that faced the Condor of Chavin— the bus that wound its way through the Andes highlands of northern Peru. In his book, Sam writes of the many perils he and his fellow travelers encountered on the two-day, 20-mile trip. But mostly he writes of the people he met on that trip: the elderly hostel owner on hands and knees patiently sweeping her walk; the proud young salt merchant and his horse, with whom he shared the road over the mountain pass; and the fearless bus driver who embodied the essence of machismo. The experience stands out among Sam’s many travels, even 40 years later. 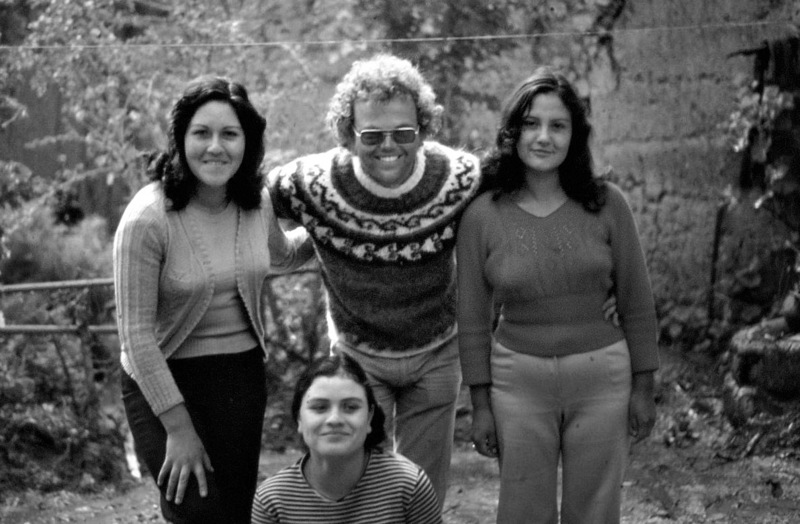 Sam was an experienced traveler by the time he reached Peru. After college and working for a while at Harvey Aluminum in The Dalles, he left with a one-way ticket to Amsterdam, traveling throughout Europe for nine months in a van left behind from his sister’s earlier trip. In Yugoslavia, Sam got a message from the Norwegians he had worked with at Harvey. He was invited to work at their sister plant in Norway. He met many people his own age there who were either interns or students working on their degrees. When Sam returned to The Dalles, he went to work with his father and brother at the family tire store. But the travel bug hadn’t left him, so one slow winter he headed for Peru at the urging of his friend, Kevin Gale. Sam visited the temple at Machu Picchu and explored the reed islands of Lake Titicaca, among other sights. Then he made his way into the Cordillera Blanca—the White Mountains—a part of the northern Andes. “If you like mountains, the Andes are something else,” Sam says. He found a place to stay for several days in Huaraz at the Hostel del Colomba, where the owner gave him a break in the rent not available to the rich travelers from Lima, her usual clientele. Sam left the garden-filled hacienda that he described in his journal as “those proverbial Gardens of Eden” to trek into the rugged mountains of the Huascarán National Park for an overnight stay at Lake Llanganuco, renting a backpack and sleeping bag for the journey. Where he was going was seldom traveled by outsiders. Still, there was a constant stream of traffic over the trails. Campesinos—tenant farmers—traveled the passes to carry vegetables by pack or pack animal back to their home villages. Just past the top of the 18,000-foot pass, Sam encountered Francisco—a young salt merchant traveling with his horse, Walter. Francisco spoke the native Quechua, and neither he nor Sam had more than a smattering of Spanish in common. Even so, they shared a long conversation on their journey. At almost every turn, Sam found similar hospitality. He offers character studies of some of the people he encountered along his journey through the mountains, including his courageous bus driver. Sam says no one looms larger in his story than the brave Dionysius. The intrepid driver—leading a band of eager interns—calmly took his passengers into and out of peril, addressing barriers with the campaign strategy of a seasoned general, and safely delivering them to their destinations. Sam has never returned to Peru. He prefers to cherish the unaltered memories of that long-ago journey. He wrote the book shortly after that trip four decades ago, but didn’t pursue publication. “The Condor of Chavin” is available at Klindt’s Booksellers and the Columbia Gorge Discovery Center in The Dalles, or on amazon.com. Sam will be signing books at Klindt’s the afternoon of Saturday, April 27, during the Northwest Cherry Festival.